As more businesses shift to operating in a truly global economy, connecting to the right support networks is a critical element to thriving in today’s rapidly changing marketplace. What would it mean for your business if you could call upon the experience of other entrepreneurs, CEOs, technical experts, innovators and disruptors to help you make the right decisions about the direction you’re taking—not self-professed online ‘gurus’ but reputable experts who take the time to know your business and who care about your success? An advisory board is an effective way to benefit from genuine support and insight to accelerate your strategy and give your business a competitive edge. Your advisory board can connect you to bigger networks and expertise that you might not have on your operational team – like how to expand into new markets, make acquisitions, or mentor the next generation of innovation champions in your business, for example. Louise Broekman, successful business owner and founder of the Advisory Board Centre will be facilitating this executive roundtable discussion. The roundtable will be held in a boardroom format with numbers strictly limited to ensure a high standard of engagement. You will have the opportunity to network with other businesses and leaders. Louise Broekman is an award-winning Entrepreneur, researcher and business advisor. Louise has received recognition from Industry and Government at a local and national level for her contribution to the Australian business sector. 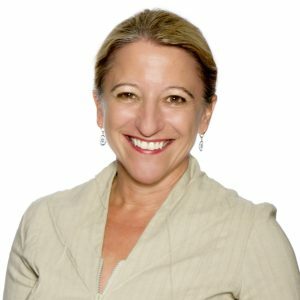 In 2004, Louise established an Advisory Board for her own business which has provided her with firsthand experience in how a well-run Advisory Board can positively impact CEOs. Since 2012, Louise has served as Chair for commercial Advisory Boards. She is an in-demand speaker and is regularly called upon as the leading voice for Advisory Boards in the Asia Pacific region.